Ok, so at this point you probably have an account at Coinbase or LocalBitcoins.com. Cool. Maybe you even have some money in there. Even cooler. Now it’s time to pick some wallet software. 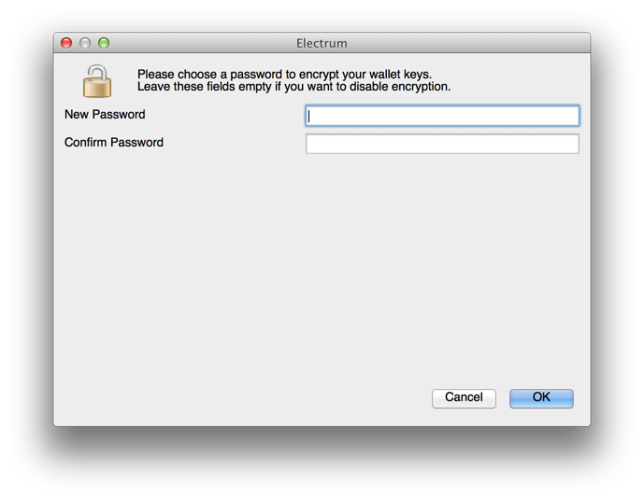 There are a few reputable software wallets out there, but I settled on Electrum for the Mac. It's not particularly intuitive or amazing, but enough people in the forums were using it, so I thought what the hell. So the overall concept is that you keep your wallet on your computer so that your private keys are safe on your hard drive and not "in the cloooooud" somewhere. 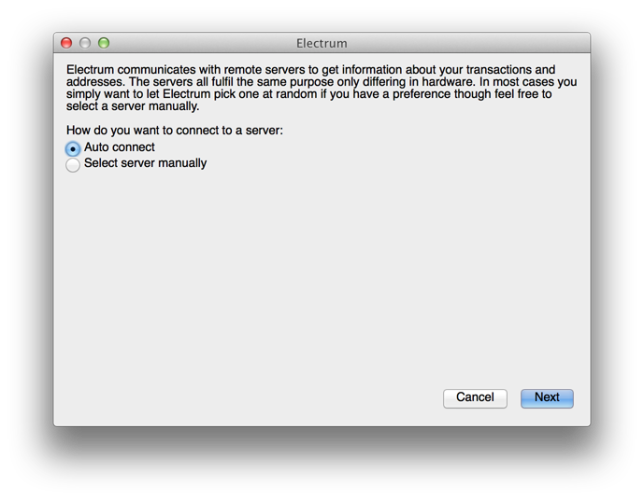 So, back to using Electrum. When you launch it, you’ll want to “Create a new wallet.” Then it’ll present you with a bunch of random words. 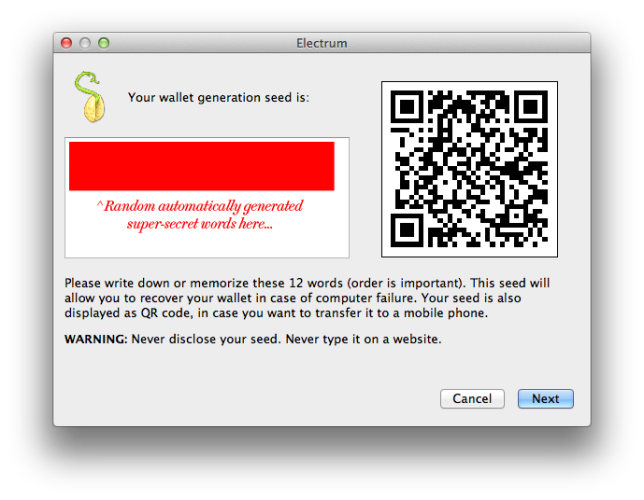 This is your “seed” and you can use it to recover your wallet if it becomes lost or damaged. The math that’s doing this behind the scenes is nuts. All this flew over my head, so I just left the default “Auto connect” checked. Ok! So above you can see your empty Electrum wallet. The default “History” view isn’t particularly helpful, so click over to the “Receive” tab. Here, you’ll see a list of addresses. These are yours, so you can start sending money to any of these. Just right-click and choose “Copy to clipboard” to make it easier. This is actually pretty easy. Coinbase and LocalBitcoins both have online wallets where it’s easy to send money from. 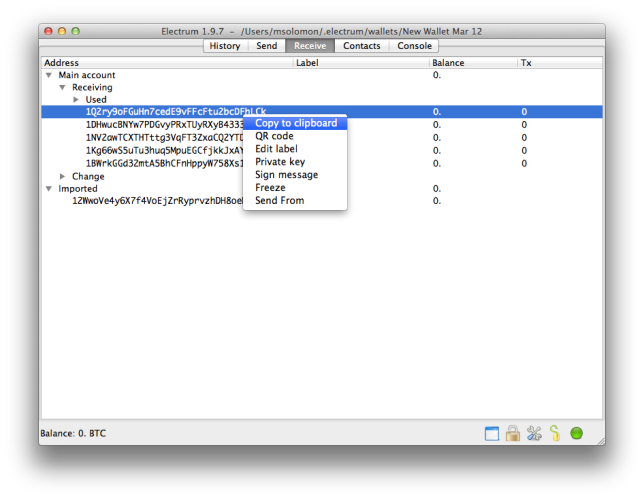 Just use any of your Electrum addresses as the “to” address and you’re all set. So that’s it. 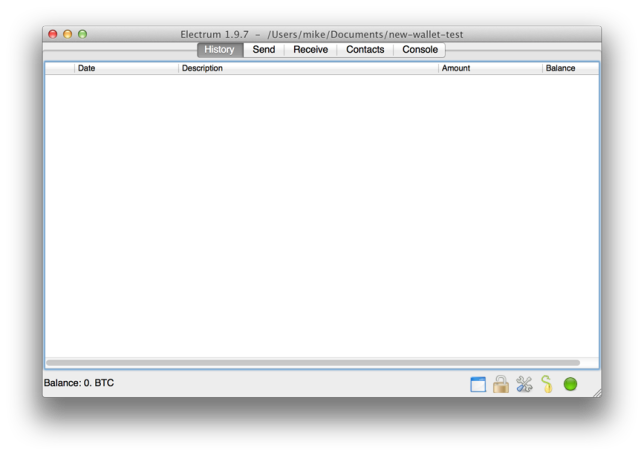 The more you play with sending and receiving money from Electrum, the more familiar you’ll get. In my next post, I’m going to show you how to make a paper wallet for cold storage.